In Key Stages 1 and 2 The National Curriculum is followed which comprises 3 core subjects and the Foundation subjects. The core subjects are English, Maths and Science. The Foundation subjects are Art, Design Technology, Geography, History, ICT, Music, Physical Education, Personal, Social and Health Education (PSHE) including Citizenship and Religious Education. Granard welcomes pupils from all religious backgrounds and this is reflected in our multi-faith R.E. curriculum and assemblies. We use the International Primary Curriculum across all three phases. This is a topic based curriculum and fulfils all requirements of the National Curriculum. Pupils are encouraged to share their religious beliefs and customs to celebrate the school’s cultural diversity. Parents have the right to withdraw their child from R.E. lessons or assemblies with a written request to the Headteacher. At Granard, children from Year 1 upwards are taught French by a specialist teacher. 'Power of Reading' texts are used to enhance the English Curriculum. These are good quality books which support the children's language development. Daily lessons of English and Maths are taught in Key Stages 1 and 2. At the start of each school year, parents are invited into school to discuss the forthcoming year with the teachers, and are provided with an Induction Booklet (also available on our school website under News and Events) containing detailed information regarding the Curriculum and other activities. The Nursery Curriculum covers the seven areas of learning as listed in the Early Years Foundation Stage (EYFS). These areas are Communication and Language, Physical Development, Personal, Social and Emotional Development, Literacy, Mathematics, Understanding the World and Expressive Arts and Design. The Nursery fosters children’s learning through a programme of structured play that supports and extends children’s early development. We are fortunate at Granard to have a spacious and well-resourced garden, which is used for activities such as gardening and exploring the natural world as well as providing opportunities for physical development. The Reception year builds upon and extends the children’s experience in the Nursery, gradually moving towards a more structured programme and incorporating daily Literacy and Numeracy lessons. Children between the ages of 5 - 7 years are in Key Stage 1 (Years 1 and 2). Children begin The National Curriculum in Year 1 which is taught through the International Primary Curriculum. The school uses Read Write Inc. to support the teaching of phonics and a range of different reading schemes to provide a broad variety of different reading books. At the end of Year 1 children undertake a phonics screening test and at the end of Year 2 they are assessed against National Curriculum levels in Reading Writing and Maths. The results of these are reported to parents. The four Key Stage 1 classes work closely together sharing many facilities and learning experiences. Each class has a teacher and a teaching assistant. The phase is managed by a senior teacher. This third phase provides an education for children between 7 – 11 years (Years 3, 4, 5 and 6). In Key Stage 2 children continue to follow the National Curriculum culminating in Year 6 with the statutory testing referred to as SATs. At Granard we follow the International Primary Curriculum (IPC) for our topic lessons. These subjects include: Science, History, Geography, Art, Design & Technology and Music. 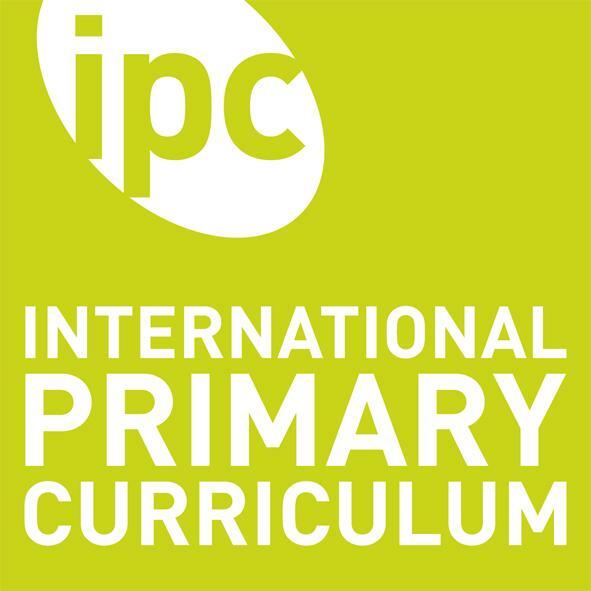 The International Primary Curriculum (IPC) is a comprehensive, creative curriculum for Primary schools, with specific learning goals for each subject. The IPC provides fun and engaging lessons, which provide exposure to, and experience of, knowledge, skills and understanding of a broad range of curriculum subjects. There is an international focus to the IPC, which provides children with the personal qualities needed to be good citizens; this is an important aspect of the new national curriculum. Why have Granard chosen the IPC? We have chosen to follow the IPC because it provides a fun and engaging way of teaching non-core subjects in our curriculum, linking them within focused, thematic topic units. We have placed Science at the heart of our creative curriculum by choosing specific science based topic units, which also involve a variety of other subjects to ensure full coverage of the National Curriculum by the end of each phase. How does the IPC work? Each half term, a different topic unit is introduced for each year group. All topics are structured in the same way with an introduction (Entry Point) and a conclusion (Exit Point). Throughout the year, Granard children take part in IPC unit specific trips and workshops to further engage and inspire their learning. In addition, there are opportunities for children to research their particular topic (children have access to iPads for research purposes at school) and weekly homework is linked to children’s topic units too. Within each topic unit each week has a subject specific focus, for example Science or History. Subjects are usually taught discretely but the IPC’s cross-curricular focus means that clear links between different subjects and disciplines are celebrated.